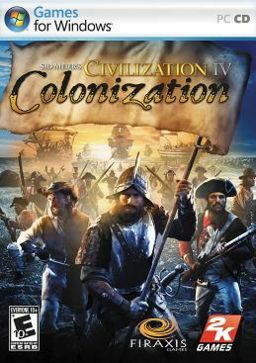 Firaxis has just released a new version of the Brian Reynolds classic Colonization, built upon the Civ 4 engine. I’m excited to give the game a try as I never actually played the original back in1994. I remember seeing it on store shelves and being somewhat confused – was this game a smaller subset of Civilization or something? I only found out more about the game – and how it was quite different from the standard Civ formula – after joining Firaxis many years later. (Ironically, Alpha Centauri has more in common with vanilla Civ than Colonization does.) If you want a detailed primer on Colonization, check out Tom Chick’s currently running Game Diary as he goes into great detail. Congratulations to the team, as well! The game is racking up great reviews. It is very, very good. And, like Civ IV itself, different enough from the original to require a little bit of retraining. And you really need to also play a bit of the original… the graphics might be dated, but the game is very interesting and there are some areas in which the original seems cooler.